Send The Australian Pub a picture (jpg file) and brief description of your favourite pub and we will post them right here! Just email or post (see "contact" page) us what you think is a great Aussie watering hole. 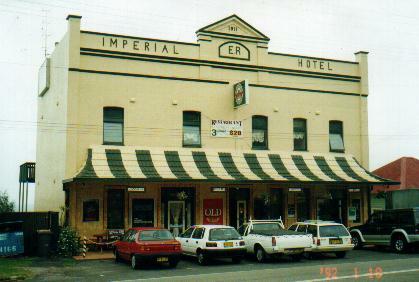 The Imperial, established in 1884 as a coal miners' pub, is located north of Wollongong on scenic Lawrence Hargrave Drive. Perched on the cliff edge, overlooking the Pacific Ocean, the pub offers great views, meals, and atmosphere... and of course plenty of cold beer! 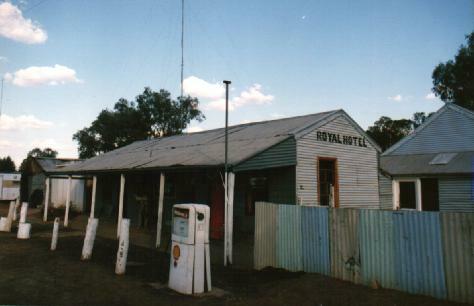 Round Hill Hotel was established as a Cobb and Co changing station in 1861. 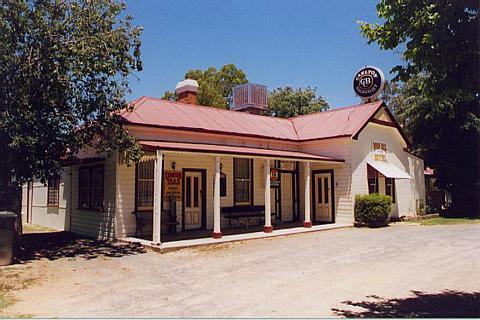 Situated at Morven, NSW, about 15 km east of Culcairn, the pub is presently hosted by Rodger Baker and offers great hospitality. Recently given a much needed facelift and restored to its former glory (My Dad actually restored a lot of the originally timber fittings in the pub), the Bellbrook Hotel, west of Kempsey along the Armidale Road, is a must for a well earned drink and feed. 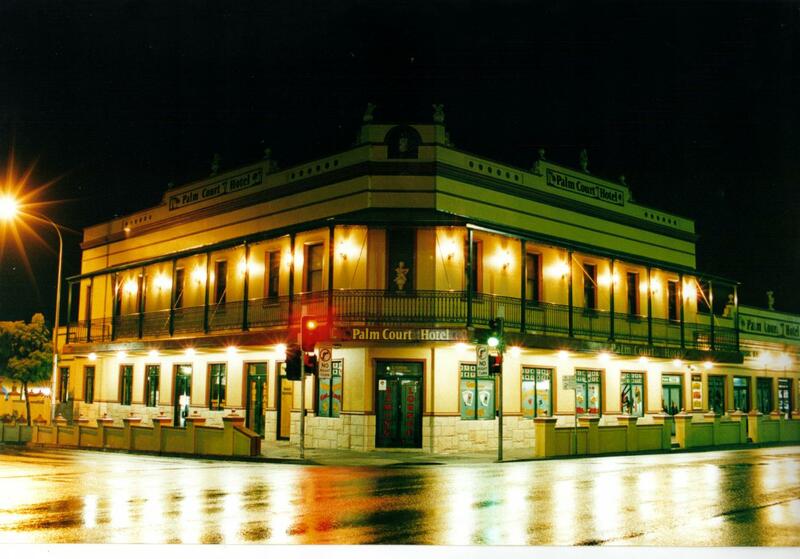 The Palm Court Hotel at Corrimal was renovated (some say not for the better) in the late 1990s. The pub was built in the early 1900s and is a "trendy" watering hole featuring restaurants and plenty of musical entertainment. This is the controversial pub that the song, The Pub with no Beer, is said to be written about. The Tarana Hotel is located out near Oberon, west of the Blue Mountains, and is well worth the effort to find. The Royal is a real gem. 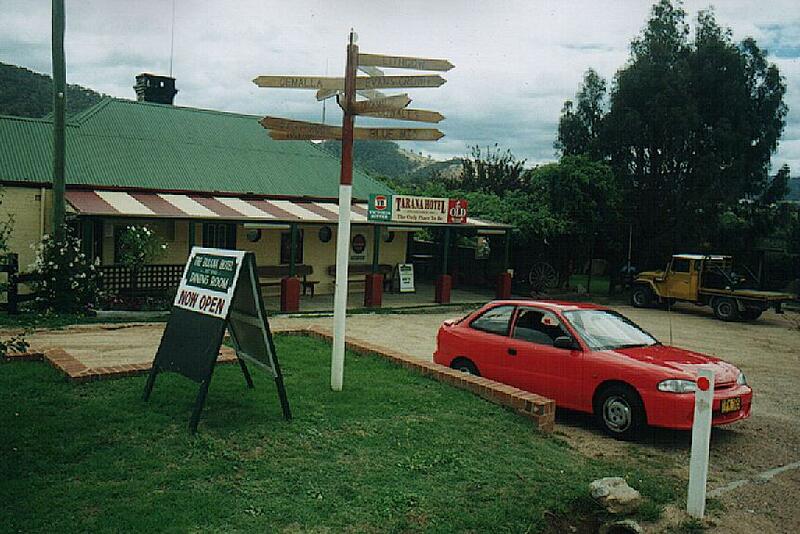 Situated near the mighty Murray, the pub is constructed of corrugated iron.